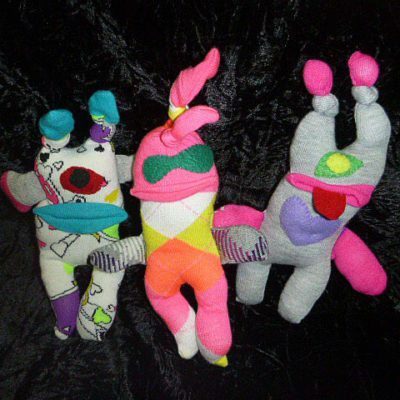 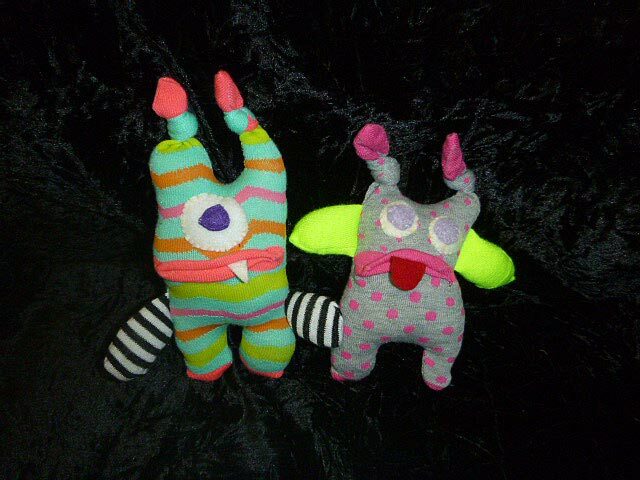 As with all of our Tastefully Tacky creations, no two Sock Monsters will ever be the same. 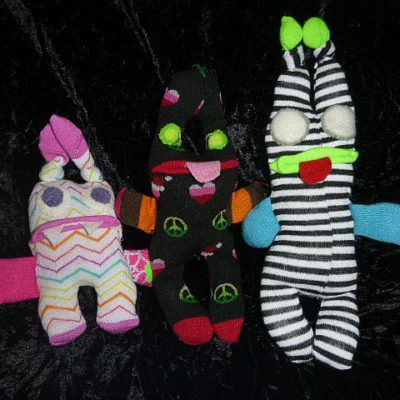 These soft, cuddly, completely child safe friends are made from brand new socks stuffed with polyester fiberfill, and adorned with felt and other soft materials. 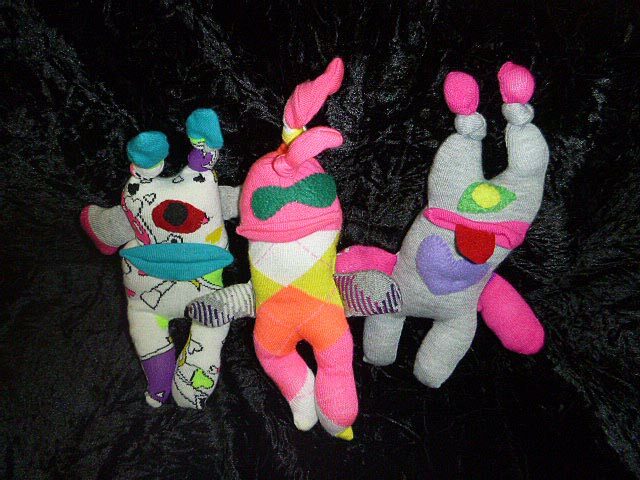 They are machine and hand sewn. 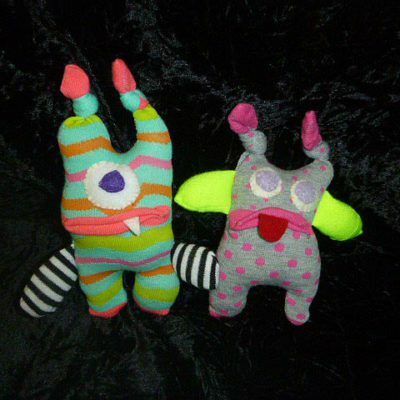 If you have a specific color scheme or theme in mind, just let us know. 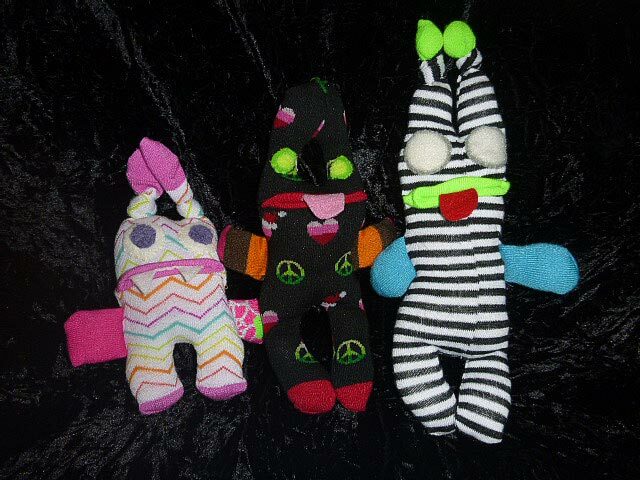 Otherwise you can Contact Us to verify what Sock Monsters are currently in stock.